Beginner's Knitting course. 6.30-8.00pm. Learn how to cast on, knit and cast off garter stitch. Then stocking stitch - the one most used in patterns and ribbing, knit and purl stitch used to begin most garments. Then shaping - increasing and decreasing and finally stripes - introducing some colour! 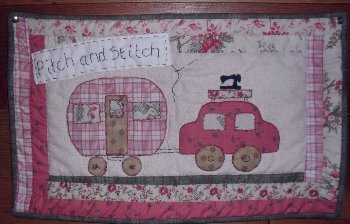 Wednesday 14th September, Wednesday 12th October and Wednesday 9th November: My First Sampler Quilt.